The duo rose to fame with their 2014 viral hit, "#Selfie". The Chainsmokers broke into the mainstream with their hit song "Roses" and their debut EP Bouquet. 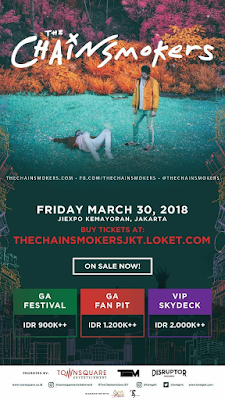 And on March 30, 2018, The Chainsmokers will strom the stage Indonesia. 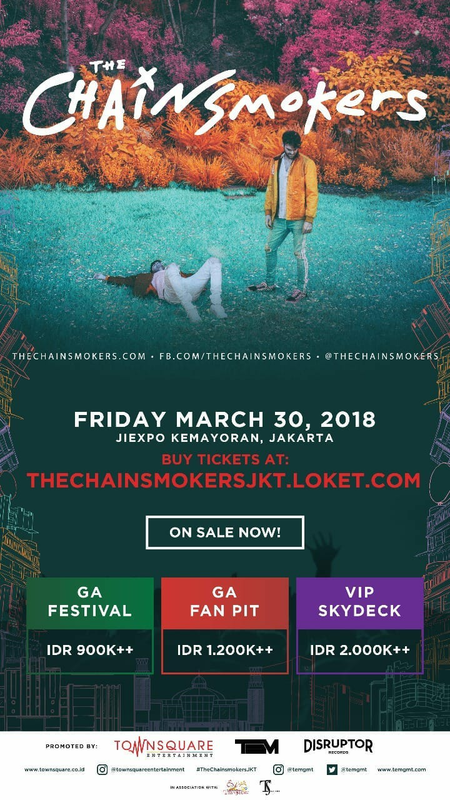 The Chainsmokers will be present in Indonesia and promoted by Town Square Group. 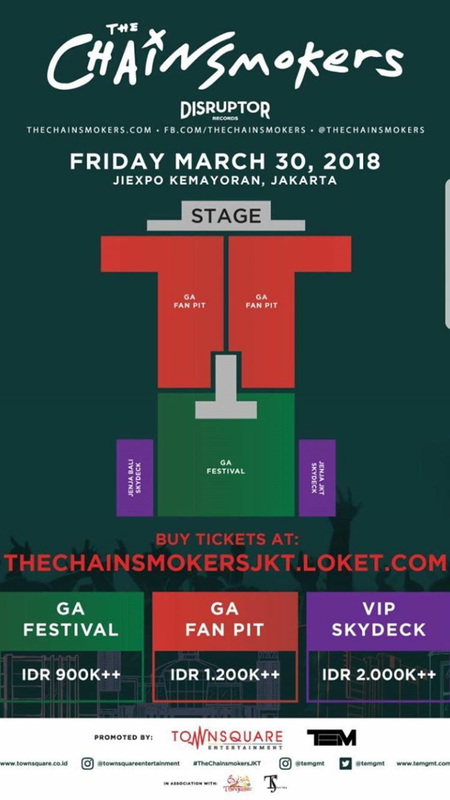 Let's get ready for The Chainsmokers LIVE in concert, The Chainsmokers will be held in JIExpo Kemayoran, Jakarta. 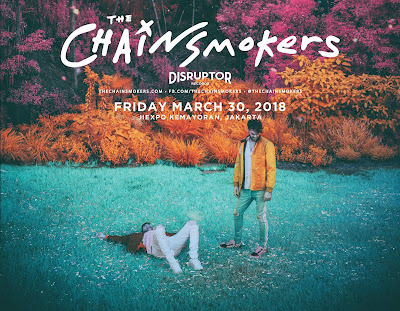 Date March 30, 2018. 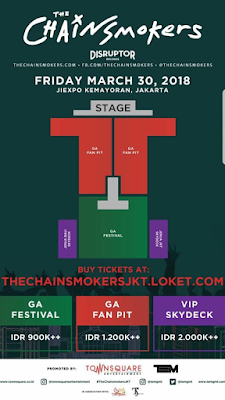 Make sure you use referral "yudistira_dps" in the LINK.